In our tutorials series on business analysis fundamentals, we are starting with use case basics. Use case diagrams are central to use case modelling. Use cases are one of the easiest ways to capture the requirements. This series is going to cover basics of many business analysis skills like user stories, sequence diagrams, activity diagrams and many more. The purpose of publishing this business analysis fundamentals tutorials series to provide basic understanding on business analysis skills for everyone, who are new to these concepts. Use case diagrams, however, can represent very limited information. So, we create use case specifications document to add more detailed information. Later in this tutorial, we are going to look at the format of the use case specification document as well. A user has to login into the system to book the flight tickets. Logged in users will also have the facility to use discount coupon codes to avail discounts. The users can search for the flights on any domestic route and for any day. However, they can’t do it for the same day. How to identify use cases? A user has to login into the system to book the flight tickets. Logged in users will also have the facility to use discount coupon codes to avail discounts. The users can search for the flights on any domestic route and for any day. Use case diagram is central to the use case modelling. All the other diagrams like activity diagrams, sequence diagrams, state model diagrams are created using the use case diagram. You can also notice that, I have not created the use case for “Avail discounts”. Avail discounts is a actually a result of “enter discount coupons”. The discounts is applied to the total bill amount and in that case, it is just a calculated field, which needs to be tested. It’s possible to have these cases which represent an action but may not be an interaction. In these cases, these are not candidates for being use cases. 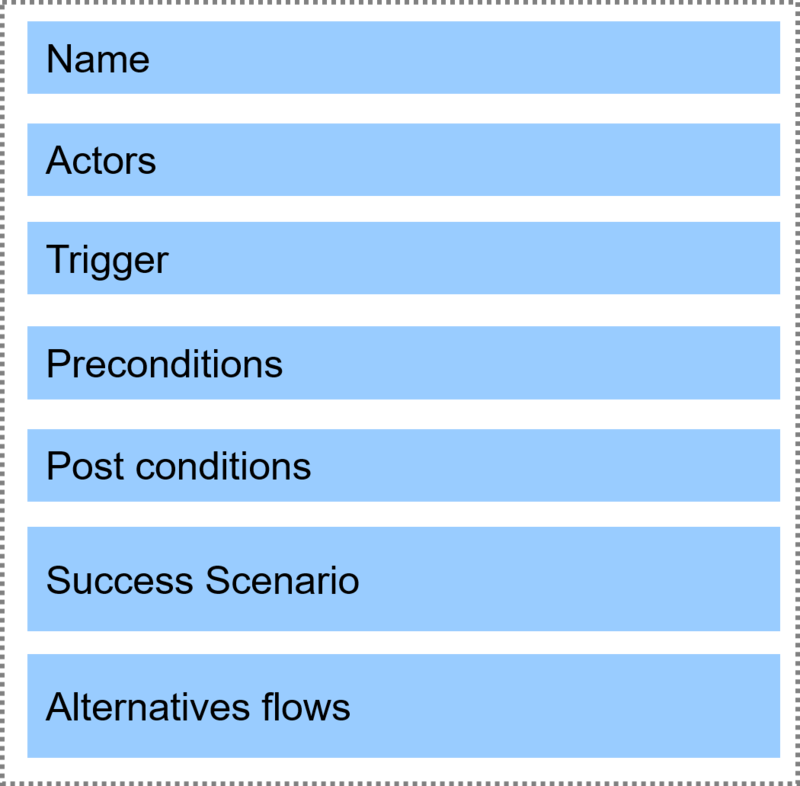 The scenarios describe the positive and negative workflows related to each use case. We are going to discuss the same in later posts. I am also posting a small video recorded in the ECBA business analyst training sessions.